A print ad for Head Gear Helmets. It features a photoshopped picture of a crash test dummy with a helmet. 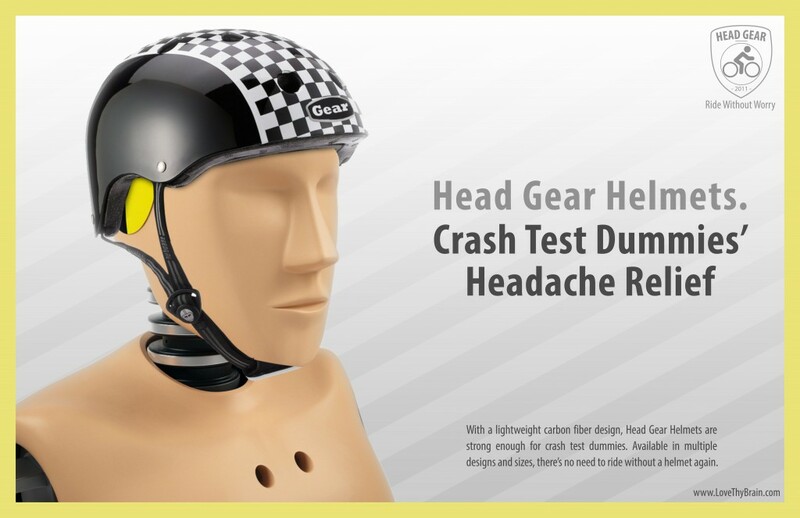 The headline, “Crash Test Dummies’ Headache Relief”, plays with the idea that the helmets are so strong that they are used with crash test dummies.